If you consider yourself a CBD connoisseur but haven’t heard of the brand Koi CBD before, don’t get surprised. This company was only recently established in 2015 and is yet to make a formidable impact on the market. But why am I talking about it? 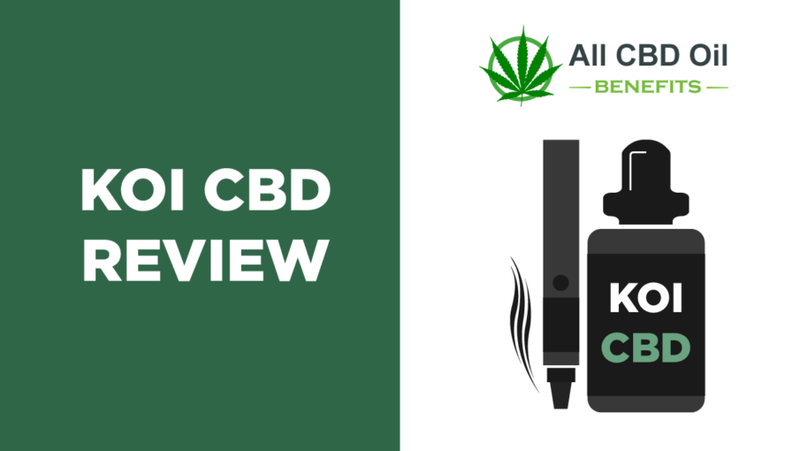 It’s because, in this koi cbd review, I want to tell you why this brand of CBD oil is worth giving a chance. Like always, I did my research before placing an order and unearthed heaps of valuable information. Honestly speaking, there was no need for me to try out this brand because I’m already happy with the CBD I use. But you know me; I’m always curious to try new stuff and give you an unbiased view of my experiences in using cannabidiol(CBD) products. The first thing that impressed me was how neat and clean the company’s website was made. Upon doing a bit of digging, I found that the firm was founded in 2015 with the intention of countering the fake and inferior products that have flooded the market. But, isn’t that what every brand says, portraying themselves as the savior while downplaying others? Good question! We’ll get to it shortly. Anyway, I read a bit more about the people behind the company and got to know that they are dedicated to offering 99% pure cannabidiol. How do they do it? They use a pharma grade extraction process in a cGMP certified facility. This allows them to get the finest hemp extract that is legal in all 50 states of the USA. 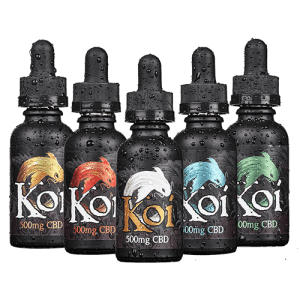 So, coming back to your question – is Koi CBD legit? I’d say they’re pretty legit considering the amount of information they have posted on their site. Why don’t you go ahead and visit the site for yourself? You can even take a look at the “Our Lab Results” section to know more about the authenticity of their claims. Koi CBD has a huge selection of cannabidiol items, among which the CBD Vape Juice is perhaps the most popular. I decided to buy this item in “Koi Variety Pack” to get all the flavors like blue, gold, Jade, red, pink, and white CBD. In fact, I was quite astonished to see that the brand based so much importance on the flavoring of their CBD oil. Now you must be wondering, what in the world made me purchase the largest pack without even trying a lower priced item? Well, as I said, the brand managed to sell me their message! The company only uses CBD isolate that is free of terpene and THC, which is exactly the kind of e liquid I’m used to vaping. How do you consume this product? Easy! You can vape the koi cbd oil using your favorite choice of vape devices or use a tincture to take approximately 20 drops (1 ML) 1 to 3 times a day as needed. I honestly love to vape, so I didn’t try out the tincture method. However, your preferences may vary, so feel free to experiment and find out what works best. I’m glad to report that my experience with using these e-liquids was overall positive. The company recommends waiting at least three hours after the first use to see how their CBD impacts your body. And I did wait! And it didn’t take three hours for the effects to kick in. The improvement in my mood was noticeable almost instantaneously. I can’t speak of its effects on my back pain though because the earlier e-liquid I was using already had it covered. I’m just gonna say that the product is pretty decent for everyday use. You should try it. What did I say about vaping? I said I love it, right? Well, I couldn’t stop myself at Koi CBD Vape Juice; I had to buy the Koi Stick Vaporizer as well. You know, come to think of it, I don’t think I’ve ever used a vaping device as simple as the Koi Stick. It not only looks “simple,” but using it is even easier. 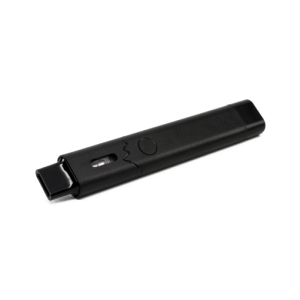 Just fill the pod with your favorite Koi e Liquid flavor and start vaping using the On / Off functionality. The built-in USB charger should allow you to charge the device anywhere without needing a cable or a separate charger. It was great! And kind of unique to be honest. I’ve used many vape pens so far, but this one really took simplicity to a whole new level. Plus, the stick is extremely light and compact in shape, so I carry it with me now to a lot of places. It feels good knowing that you can have your daily dose of CBD without over-complicating things. 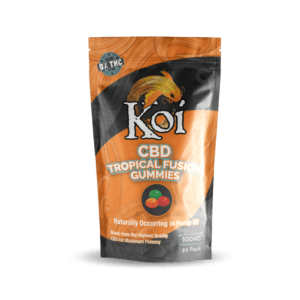 Currently, the edibles from Koi CBD are available in only Tropical Gummies Pack. Deciding to buy this product didn’t take much of self-convincing because hey, who doesn’t love gummies? I’ve had a sweet tooth for as long as I remember and I jumped on the first opportunity to try out this product. Yup, you guessed it right! You consume these gummies like how you would with your favorite brand of candy. You can take 1 gummy, up to 3 times every day or as needed. Keep a few handy just in case if you feel the missing flavor in your mouth. How else do you think? I loved it! This ain’t no candy that someone can steal from this big baby. While the flavor is excellent, and so is the packaging, I have to be honest and say that its effects kind of fell below my expectations. Then again, perhaps it wasn’t right for me to expect similar results as CBD juice. Moreover, each pack only contains 20 gummies, so you either have to buy in bulk or just be satisfied having one every so often. Keep this in mind before you place the order, all right? I’ve always been kind of skeptical about topical because something as simple as applying a balm on your body to get rid of pain doesn’t sound plausible to me. But hey, I’ve been proven wrong so far because topicals still worked like a charm. The Koi Lavender Hand and Body Lotion is one such product that managed to impress me somewhat. To find out the efficacy of this product, I went off my regular back pain medication a week in advance. Upon applying the lotion in the affected area, I found that the effects were just decent. It certainly didn’t beat the existing topical cream I was using. Does that mean Koi CBD Topicals is bad? Nah! It’s okay to use if you have only mild pain. 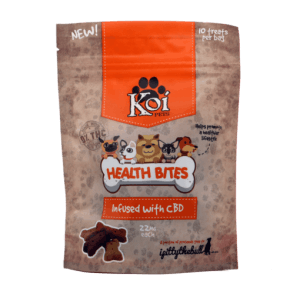 Koi Health Bites is the ultimate CBD-infused dog treats that claim to offer equally beneficial results to your canine companion. It is packed with the nutrition of wheat flour, wheat gluten, chicken fat, calcium carbonate, powdered cellulose, naturally occurring CBD, and a couple dozen other nutrients. If your dog is under 20 lbs, give him/her half a biscuit that contains 11 mg of CBD. For dogs over 20 lbs, 1 biscuit per day containing 22 mg of CBD should be enough. How was my dog’s experience? Rufus is a happy dog and has always been that way. But surprisingly, I found him to be a little more energetic when I started giving him a biscuit each day. Call it placebo if you want, but I believe that Koi Health Bites did actually do its job. Will I keep feeding him the streets? Yes, I will. After all, he is my one and only mutt. 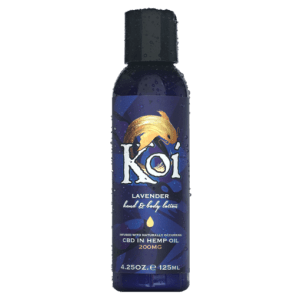 Overall, I’d say Koi CBD is a trustworthy brand that deserves more recognition. And what can be a better way to reward the company than by spreading its name far and wide? I purposely skipped talking about the flavors because I believe that everyone has a different preference when it comes to taste. So you’ll have just to try for yourself and find out. Oh, you can go ahead and buy any product at a discount using my koicbd coupon; I can assure you of their quality. To buy, just head over to koicbd.com.